It’s a great pleasure to welcome you all at the 36th Annual General Meeting of your Company. Your presence here is a testimony of your interest & involvement with the Company & I sincerely thank all of you for that. The Notice convening the meeting, Report of the Directors and the Audited Annual Accounts for the year ended 31st of March, 2017 have already been circulated to you and with your permission, I shall take them as read. Our Nation is now on a path of phenomenal growth trajectory with its economy well poised to become one of the leading economies of the world. As per World Bank 2015 report, India’s GDP USD 10 Trillion which is 7.3% of the world. I would like to start with a positive belief that the domestic economy is being put on a more formal platform with two major initiatives of the Government – demonetization followed by implementation of long awaited GST. Government of India’s decision on 8th November 2016, towards demonetization is expected to bring various impact in economy. Industrial and warehousing space will see increase in transparency, gradual shift from unorganized to organized market and will also provide opportunities to bring in more Institutional players. The GST has created a common Indian market, improve tax compliance and governance and boost investment and growth; It is also a bold new initiative in the governance of India's cooperative federalism. With the effect of GST, instead of maintaining smaller warehouses in each and every state, the companies are now focusing on fewer and bigger warehouses. The requirement of time is hub and spoke model whereby freight movement takes place from warehouses to manufacturing plants, distributors and retailers. Hence, a bigger opportunity awaits for the companies like us – which has set up huge warehousing and FTWZ facilities at strategic locations in India. Your Company is constantly striving to meet the dynamic market needs. The Indian logistics industry is moving towards a phase of major transformation. Our Logistics Performance Index (LPI) is now ranked at 35th among 160 countries and impressive 19 position jump from 54th position in 2014. There is tremendous Freight Logistics potential across Rail, Air and Ports and needs to evolve significantly considering the size and expected growth of Indian economy. The 2017-18 Union Budget laid an emphasis on infrastructure growth with plans to develop highways, railways and rural roads and revive unused airstrips and airports. ''The Government also announced Sagarmala project for port modernization and augmentation, development of multimodal logistics parks, smart cities project and dedicated freight corridors. Successful and timely completion of these proposed projects will ensure cost effectiveness and operational efficiencies in the transport and logistics sector. Your Company, have constantly strived for improvement with perfection. We feel improvement is something that automatically brings about perfection as a by-product over time. Your company continues to operate successfully at Panvel and Khurja facilities. 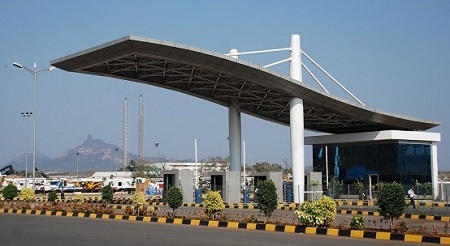 At Panvel, the company has well established its FTWZ operations with ever-increasing list of clients. 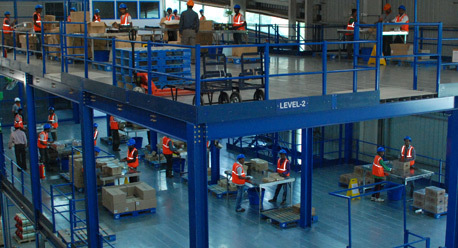 The company has reached near full utilization of all its six warehouses, with number of clients growing to over 300. Nonetheless, the company is able to maintain its Revenues and EBIDTA levels with a positive growth over the previous year. The Company is now consolidating its customer base with focus on large clients/MNC, which require large parcels of warehousing space. Working at Iot to support our existing customer base like E-pod, Freight marketplace etc. Reviewing our cost of operations and explore opportunities of cost saving or cost control. Rationalization of fixed overheads and adopting the concept of Zero based budgeting i.e. only essential expenditure to be incurred. The ICD at Khurja is strategically located at the confluence of the proposed Western and Eastern Freight Corridors, within the National Capital Region (NCR), which is the manufacturing hub of India. The development of ICD will give much needed fillip to our existing rail operations as well as to our FTWZ facility at Khurja. The readily available market will be EXIM cargo at Aligarh, Agra, Bulandshahar, Firozabad, Meerut, Noida, Ghaziabad, etc. This will become the first Integrated Logistic Hub in the Country. As part of the overall Debt Resolution, Arshiya Group has signed Restructuring Agreements with Edelweiss Asset Reconstruction Company Ltd. This would enable the group to re-align its secure Debts to sustainable level. After years of turbulence, I am happy to say that our faith in the business has been validated by acceptance of large/marquee Global Clients getting into long-term contracts. Your Company has turned the corner in many ways and is once again on a positive traction. Your Company has been scouting for potential strategic investors for the further development of Panvel FTWZ. Few of the Investors have shown interest in Panvel FTWZ and we are pleased to share with you that the Company has executed a Binding Term sheet with Ascendas Singapore for monetization of its 6 warehouses at Panvel. The requisite due diligence process has been completed by Ascendas and the Company is in the process of consummating the transaction shortly. The tie-up with Ascendas will bring in huge value addition to your company in terms of Global expertise and quick scalability of operations besides brining in new customers. Your Company has signed a long term agreement with one of the top global Telecommunication Giant for their large space requirement at Panvel. Besides this the company is now focusing more on Fortune 500 and 3PL players with emerging clarity from government on the FTWZ concept. In line with one of the top 3PL Logistics multinational company occupying one warehouse, the company is in discussion with large global 3PL companies for leasing them large space or complete warehouses. At Khurja, the development of Dedicated Western and Eastern Freight Corridor and implementation of GST regime will bring in much fill up to the Rail operations of your Company. 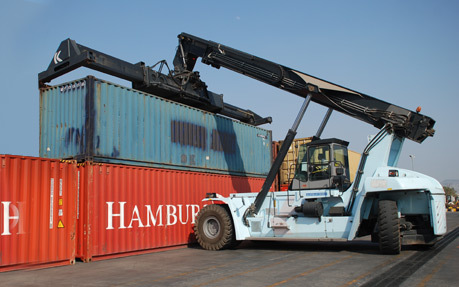 The company is well poised to face the challenges and tap new business opportunities, including the one arising from the likely increase in container volumes due to development of Dedicated Freight Corridors. The management is making all efforts to make the ICD Khurja as the Integrated Logistic Hub of the Country. The rail business, ICD and FTWZ would be supplementing each other providing synergistic advantages. Your Company’s philosophy of Corporate Governance stems from its belief that the spirit of good governance lies in adherence to highest standards of transparency, accountability, ethical business practices, compliance of law in true letter and spirit, adequate disclosures, corporate fairness, social responsiveness and commitment to the organization to meet stakeholders aspirations and societal expectations. Your Company has been complying with the requirements of corporate governance as stipulated in the Companies Act, SEBI (Listing Obligations and Disclosure Requirement) Regulations and has aligned its corporate governance philosophy to its corporate structure, conduct of business and disclosure practices. Dear Shareholders, on your behalf, I would like to acknowledge the tremendous efforts of our employees who are our most important asset. Their dedication, intellect, hard work and deep sense of values is what differentiates and drives our company forward. The company have young and dynamic leader at all business level. I also acknowledge the support extended by the Central Govt., State Governments and all other authorities and regulatory agencies. My hearty appreciation is also due to my colleagues on the Board for their valuable guidance and contribution in steering the Company at all levels of achievement. I would also like to thank customers, suppliers, bankers financial institutions and all its Associates. Finally, let me express our deepest gratitude to each of you, our shareholders. I look forward to your ongoing support in all our future endeavors.